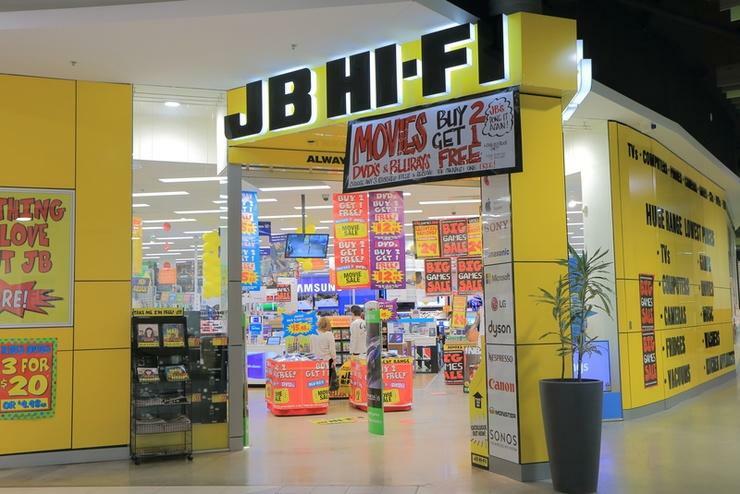 Electronics retailer, JB Hi-Fi has delivered mixed half-yearly results across its trans-Tasman footprint, reporting solid revenue and profit surges in Australia, offset by a slight fall in New Zealand sales for the six month period, compared to the previous year. The company, which operates more than 300 retail outlets across A/NZ, reported a 23.6 per cent surge in revenue for the six-month period ending December 2016, to $AU2.6 billion, compared to the previous year, along with a 16 per cent boost in profit to $AU110.4 million. The company’s total sales in Australia for the six-month period came in at $AU2.2 billion, representing an 11.7 per cent rise on the previous year, while gross profit in Australia increased by 13.2 per cent during the period, to $496.5 million. According to JB Hi-Fi’s half-yearly financial report, the key growth categories for its Australian operation were communications, audio, cameras, accessories, computers, and home appliances. During the six month period, the company’s online sales grew by 40.4 per cent compared to the same period last year, to $AU84.8 million, or 3.8 per cent of total sales. Meanwhile, the company’s JB Hi-Fi Solutions business in Australia continued to grow and has been slated to deliver on its longer-term aspirational sales target of about $AU500 million annually – through both organic growth and strategic acquisitions. At the same time, JB Hi-Fi’s cost of doing business (CODB) in Australia for the period was down by 13.9 per cent, to $AU496.5 million, while its pre-tax earnings in Australia (EBITDA) were up by 21.5 per cent compared to last year, to $AU165.6 million. In New Zealand, however, the company’s sales declined by 1.7 per cent during the period, to $NZ125.1 million, while pre-tax earnings (EBITDA) came in at $AU2.5 million, down from the previous year's result of $AU3.2 million. According to the company, New Zealand sales in the corresponding period last year were impacted by “elevated market wide demand for third party prepaid content cards” – a contributing factor to the sales dip this year. JB Hi-Fi told shareholders that the overall performance of its business performance in New Zealand remains an “ongoing focus for the management team”. The latest financial results are the first since the company finalised its $AU870 million acquisition of home appliance retail chain, The Good Guys, in late November 2016, in a move that boosted the group’s footprint to 295 stores across the A/NZ market. In December 2016, total sales for The Good Guys were up by 0.7 per cent compared for the same period the previous year, to $AU263.1 million, while earnings of $14.3 million for the month were also up on last year. For Murray, the new year represents a period of increased integration of the two businesses – a process that is expected to result in overall cost savings for the group. “As indicated at the time the acquisition was announced, given the proximity to the critical Christmas trading period for both JB Hi-Fi and The Good Guys, there would be limited integration undertaken in 2016,” Murray said. “As we move into 2017, we are taking a deliberate and considered approach to how we integrate and leverage the scale of the group. “Our work to date has validated the rationale regarding the power of the combination and the strategic merits of the acquisition. We reconfirm our synergy assumptions of $15 to $20 million per year after a three-year integration period, and remain highly confident in our ability to realise these benefit,” he said.